​You are cordially invited to a ladies tea party! This tea is for all the ladies in your life, from great grandmothers to great granddaughters, and all the women in between. We can attribute much of who we are to the women who have molded us throughout our lives. Let's celebrate and appreciate these women through fellowship and fun! 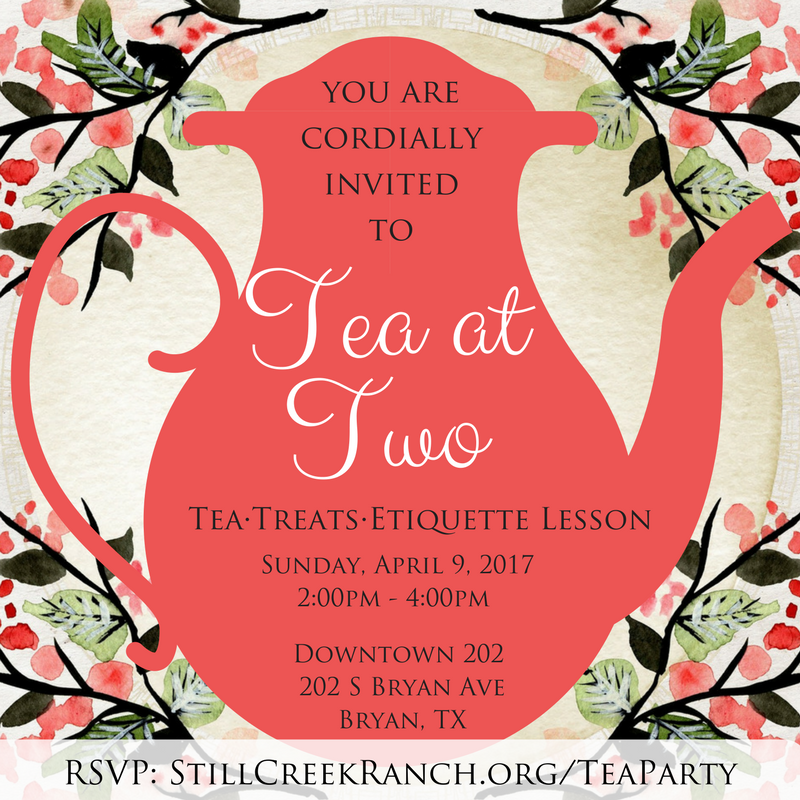 Join us for an afternoon of tea, treats, and etiquette lessons from the wonderful Dr. Susan Quiring! Dr. Quiring will be teaching us the art of a proper tea, as well as etiquette tips for social gatherings. The girls and house moms of Still Creek will be your gracious hosts, serving the tables throughout the event. Proceeds from Tea at Two will be used to send the girls on a mission and journey trip this summer. These trips provide opportunity for Still Creek families to bond, create memories, and give the girls valuable life experience, broadening their perspective and understanding of the world. To register, fill out the form below with the names of your party. Once filled out, the "submit" button will take you to the ticket purchasing form.